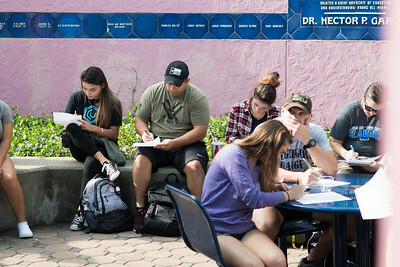 Professors at Texas A&M University-Corpus Christi are no longer just conducting lectures in a classroom, they are instead using “high impact practices” to teach their students. 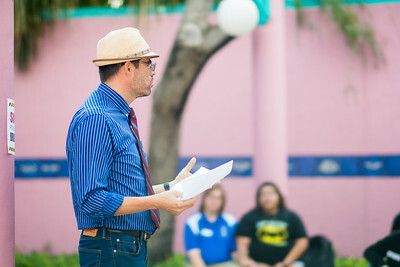 One such exercise, hosted by the College of Liberal Arts, was geared toward teaching Islander students about their rights as U.S. citizens. 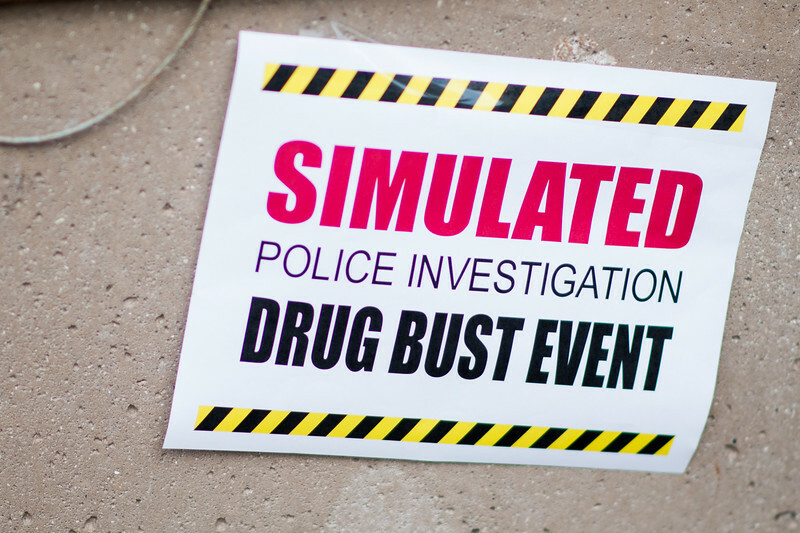 During the Simulated Drug Bust on Nov. 2, theatre, communication and media and criminal justice students gathered in the Hector P. Garcia Plaza to perform and watch a staged drug bust. 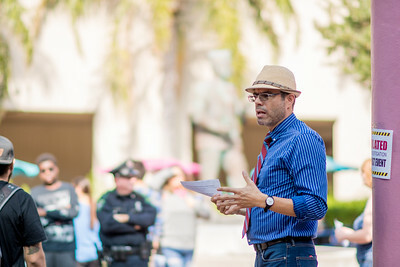 Professor Gabriel Ferreyra reviews a Drug Bust demonstration with criminal justice students in Hector P. Garcia Plaza. 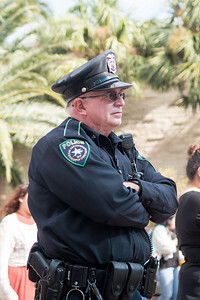 Retired UPD officer M. Tamez listens in as professor Gabriel Ferreyra gives a lecture following a live Drug Bust Demonstration. 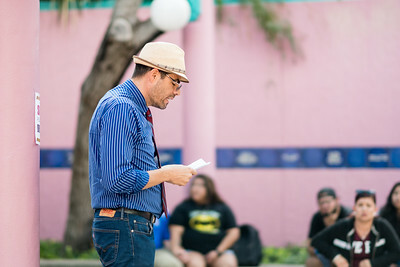 Students take notes as Professor Gabriel Ferreyra gives a lecture following a Drug Bust demonstration in Hector P. Garcia Plaza. 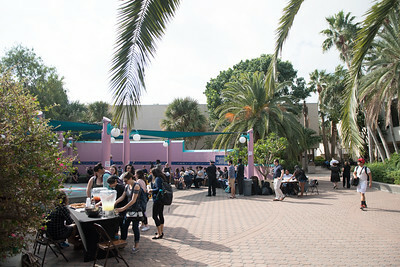 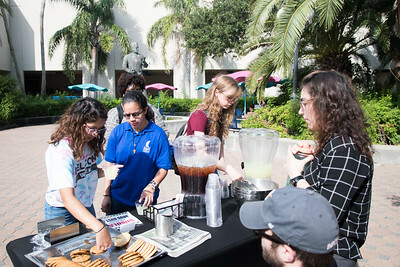 Students select from refreshments and cookies following a Drug Bust Demonstration on campus, in Hector P. Garcia Plaza. 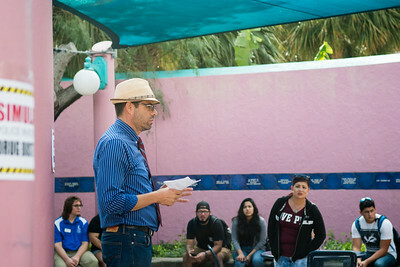 Dr. Gabriel Ferreyra educates Islanders during a Drug Bust demonstration in Hector P. Garcia Plaza. 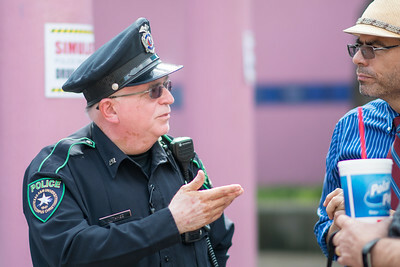 Retired UPD officer M. Tamez speaks to professor Gabriel Ferreyra, following a Drug Bust demonstration on campus.